Shinsaibashi Bridge (心斎橋) in Osaka, Japan. 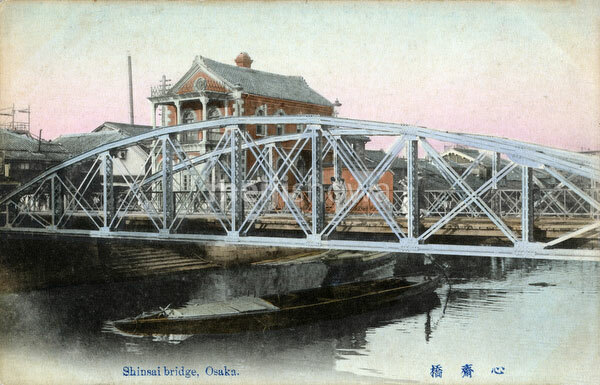 The Western-style iron bridge was imported from Germany in 1873 (Meiji 6) and was 37.1 meters long and 5.2 meters wide. It was the second largest bridge in Osaka and the 5th largest in Japan.